Johnny Depp attends a photo call for “Mortdecai” on Jan. 18 in Berlin. “Mortdecai,” a movie starring Johnny Depp that looked terrible, appears to be terrible. It bombed at the box office this weekend, making a measly $4.1 million. 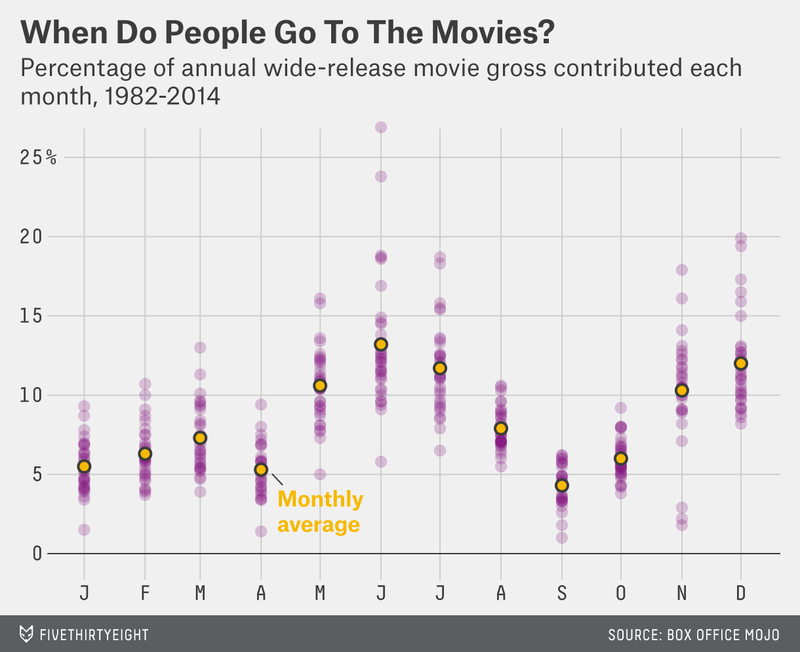 This shouldn’t come as too much of a shock: We’re in the middle of the worst time of the year for movie releases. Generally speaking, during January and February, studios release films they have little confidence in. Winter-weather risks, low turnout and interference with the awards season are often cited as causes, but the bottom line: Mediocre and bad movies come out in winter because winter has a reputation for mediocre and bad movies. This effect has been pretty clear across the board, critically speaking. Jason Dietz at MetaCritic has shown that films released in January and February aren’t well-regarded among critics; Chris Kirk and Kim Thompson at Slate have shown that January is a desiccated bone yard of abysmal Rotten Tomatoes scores. Honestly, ask yourself: What was the last great film you’ve seen that was released in January? “The Silence of the Lambs”? This is also readily apparent in box-office data. Pretty grim! If the patterns hold, we’re going to be in a rut for another two months or so, barring a sleeper hit. Still, it’s interesting that September — also considered a dump month (too late for a blockbuster but too early for Oscar bait) — looks slightly worse than January, February and March. 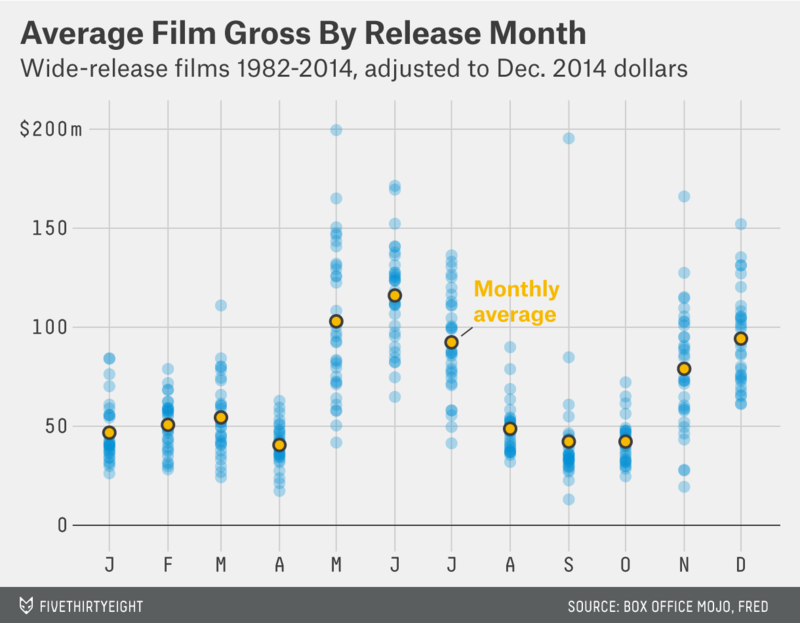 It’s also worth looking at the gross for wide-release films by month. It’s interesting that summers can be much more hit or miss, but the dump months are consistently low. It’s going to be a long winter, because “Mortdecai” isn’t the exception. It’s the rule.